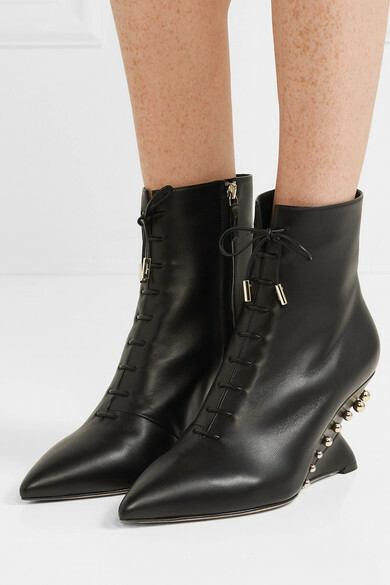 Salvatore Ferragamo's pointy ankle boots have been made in Italy from black leather that's smooth and buttery. 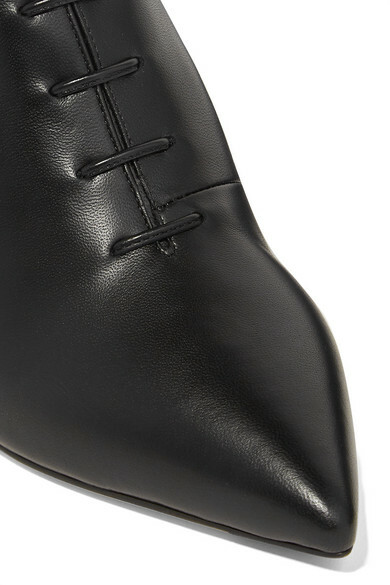 They fasten with Victorian-style laces but discreet side zips mean they're easy to slip on and off. 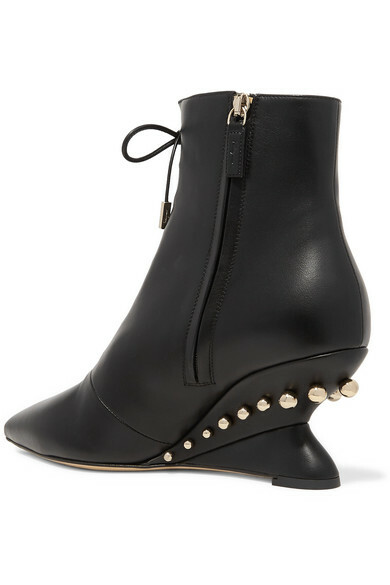 The signature sculptural wedge heel is studded with gold. Shown here with: Peter Do Shirt, Vince Skirt, Marni Shoulder bag, Sophie Buhai Earrings.